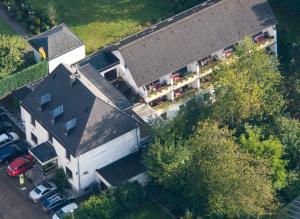 Pension Zum alten Rathaus is located in Schleiden-Gemünd, 37 km from Aachen and 46 km from Bonn. Each room is fitted with a flat-screen TV with satellite channels. Certain units include a seating area to relax in after a busy day. You will find a kettle in the room. Pension Zum alten Rathaus features free WiFi throughout the property. You will find a tour desk at the property. You can play mini-golf at the guest house. The guest house also offers bike hire. 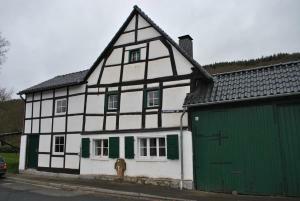 Monschau is 18 km from Pension Zum alten Rathaus, while Spa is 46 km from the property. 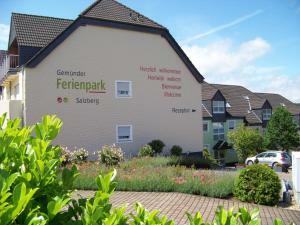 The nearest airport is Cologne Bonn Airport, 55 km from the property. When would you like to stay at Pension Zum alten Rathaus ? Please inform Pension Zum alten Rathaus in advance of your expected arrival time. You can use the Special Requests box when booking, or contact the property directly with the contact details provided in your confirmation. This property will not accommodate hen, stag or similar parties. Please note that on Mondays check-in is possible from 18:00 onwards or upon prior agreement. Each day we'll check prices and send you an email for your selected dates at Pension Zum alten Rathaus. If you don't have specific dates but would like to check prices for say next weekend or say next month we can check the price too. Click to write a review and share your experience of Pension Zum alten Rathaus with other travellers.